Mangaluru, Oct 13, 2016: According to a media release, the National Service Scheme (NSS) unit of Mangalore University will organise a workshop on Digital India at the School of Social Work, Roshni Nilaya here on October 14. The Vice-Chancellor of the university K. Bhyrappa will inaugurate it. It said the National e-Governance Division, an independent division of Department of Electronics and Information Technology, in association with NSS, Department of Youth Affairs, conducted awareness workshops on Digital India in 20 universities across the country on pilot basis between February 25 and March 15 this year. 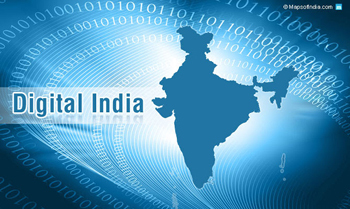 Approximately, 6,000 students and faculties were the direct recipients of Digital India information via these workshops. The workshop sessions were a mix of audio, video, quiz, presentation, question and answer session, as well as skit (in regional language) performed by the NSS volunteers on the themes of Digital India. As per feedback received on the department’s online system, around 85 per cent participants (of total 910 received) have mentioned the workshop as ‘excellent or very good’. A 48-page workshop report has also been prepared. The next step is to conduct similar workshops in over 100 universities with NSS units across India. The workshop planned here on Oct 14,Friday, tomorrow is part of the same, it is understood.